Amber Condos 2 is a New Condo development by Pinnacle located at Hurontario and Eglinton W, Mississauga. Amber Condos is a New Condo by Pinnacle International located at Hurontario St & Eglinton Ave W, Mississauga. Sitting at the heart of Mississauga, building 1 for Amber condos has 26 storeys and building two has 23 storeys. Amenities at Amber Condos phase two include an indoor swimming pool, hot tub, sauna, fully equipped fitness centre, yoga room, party room, games room with billiards, threatre, kids' play area, and two designer guest suites. Pinnacle is an amazing development that has an international portfolio. They are leaders of luxurious condos, commercial buildings and more. The beautiful phase 1 tower has a lot of positive responses, phase 2 continues the legacy. *Last Updated on Jan 5, 2018 by CondoNow. All information, prices, terms and conditions subject to change without notice. E. and O.E. 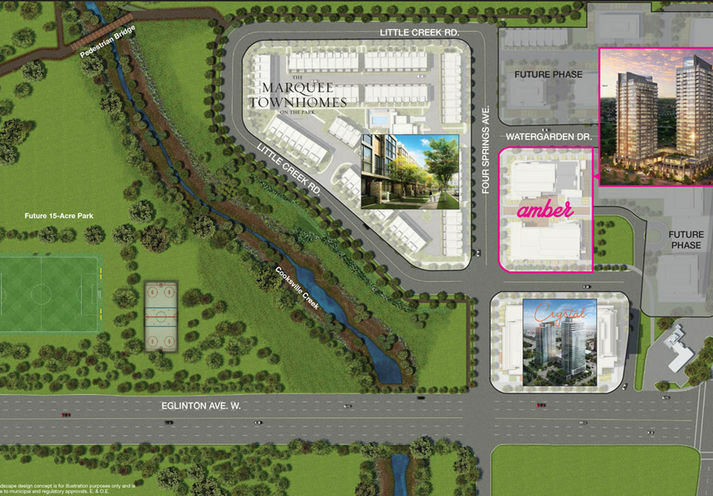 Located at the corner of Hurontario and Eglinton Ave. West in Mississauga, Amber offers the excitement of a busy centre city and the tranquility of a suburban escape with its 15 acres of parkland. 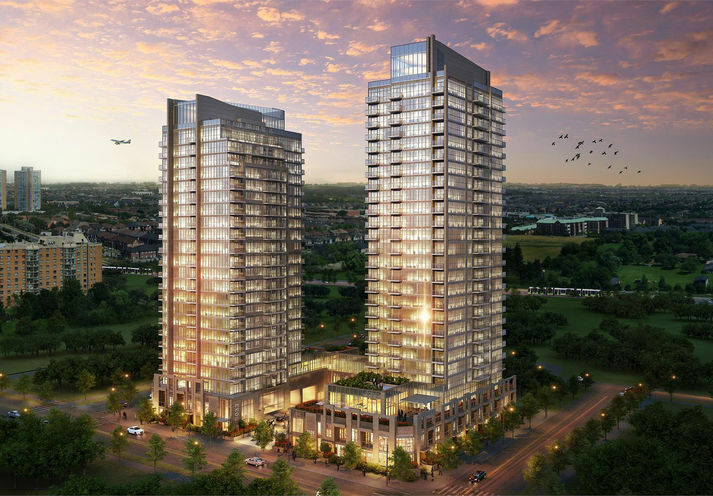 Amber Condos 2 is a new Mississauga Condo in the Hurontario neighbourhood by Pinnacle InternationalP0RPO.